Even though I love all food, Middle Eastern cuisine will always have a special place in my stomach not only because it is delicious but also because it is what I grew up eating. However, when you go to a Middle Eastern restaurant it is easy to get overwhelmed with all the weird names and combinations. This small list of dishes for first-time diners will help you become more familiar with the food and provide a basic starting point for people interested in trying Middle Eastern cuisine. This is probably the most popular Middle Eastern dip and rightfully so because it is amazing. It consists of mashed chickpeas, tahini, olive oil, and sometimes lemon juice. It is perfect for weight watchers and you can eat it with almost anything. Usually, it's eaten with pita bread or vegetables, such as carrots or celery sticks. You can also make hummus at home! Why would you buy Sabra Hummus when you can make much tastier, healthier hummus with these simple recipes? 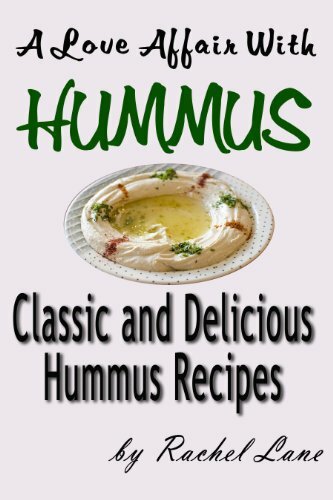 My favorites from this list are the Basic Hummus, Lemon Garlic Hummus, Spinach and Feta Hummus, and Mediterranean Hummus. There is a slight difference between mutabal and baba ganoush but they taste very similar and are made of the same core ingredients. If a restaurant has both mutabal and baba ghanoush I would recommend the mutabal just because I think it is tastier. Many people would disagree so try both if you get the chance. Essentially, both are dips consisting of mashed eggplant with various seasonings. The seasoning depends on which Middle Eastern region the restaurant hails from but I can assure you all of them are good. This dish, like hummus, is an appetizer but don't worry, we'll get to the main course soon! This is a typical Eastern Mediterranean salad, which primarily consists of finely chopped parsley, tomatoes, cucumbers, and sometimes lettuce and onion. It is usually seasoned with olive oil, lemon juice, bulgur (or burghul), and salt. A great option for weight watchers. These deep fried balls of deliciousness are primarily made from ground fava beans or, more commonly, ground chickpeas. In the Middle East, you can buy falafel literally everywhere. They are a great afternoon snack and are very versatile. They can be served in a sandwich, dipped in hummus, or simply enjoyed right out of the bag. Finally, we arrive to the main course. All the previous dishes are actually appetizers! They are often eaten before, during, and even after the main course. A main course dish you have to try is the shish kabob. Literally, it is meat on a stick. The meat is either beef, lamb, or chicken and served with a variety of vegetables, rice, and a side salad. Shish kabob can of course be eaten with any of the previous appetizers and is especially good with hummus. This is another main course dish and boy is it good. Shavings from a large rotating vertical block of beef, lamb, or chicken are cut off while it is being heated and grilled on a spit (similar to gyros). While it can be served on a plate with several accompaniments, it is more commonly served in sandwich or wrap form. Once again, you can eat this with any of the previously mentioned appetizers. What is a restaurant outing without dessert? Am I right? If you love sugary sweetness then this is the dessert for you. It consists of sweet cheese on the bottom and some sort of sweet doughy material on top, depending on which region of the Middle East the restaurant serves from. Finally, it is topped off with a sweet sugary syrup. If you are watching your weight, give it up for one day. It's worth it I swear. 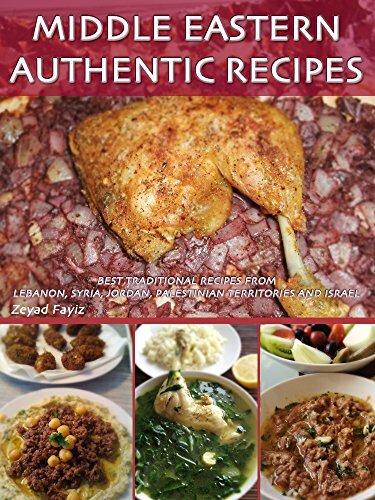 This is a great buy for those of you who are not only interested eating Mediterranean food but cooking it!